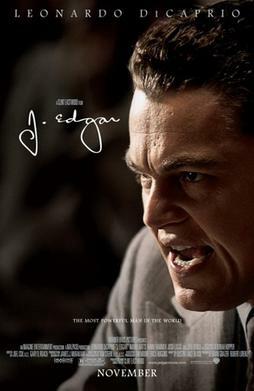 Well, irony struck quite hard last Thursday when I dropped by the cinema to watch J. Edgar the movie. Considering Wednesday, January 18 was when the internet protested against the SOPA and PIPA bills being pushed through the US. The fact that the bills were massively supported by Hollywood (more MPAA than the artists to be honest) which would end up restricting freedom on the internet wasn't quite where the irony hit. No, actually, it was because that night, after the movie, I came out and saw on my iPad that the world as we know it has ended. Megaupload, one of the world's most popular websites, accounting for something like 4% of all internet traffic, was shut down by the FBI. Yup, not even 24 hours after the free world protested against the 1984 Orwellian legislation being hurried into law, the FBI decided to take matters into their own hands and, not only shut down the site, but have all of the site's staff arrested. While all of the dust is still very must in the air and far from settling - other so-called "file sharing", the bad kind, sites like Filesonic have voluntarily kicked the bucket in fear - there's nothing more we can do but to keep watching and see what happens. Of course, some on the internet have taken matters into their own hands and ended up bringing down sites like the MPAA, RIAA, US Dept. of Justice, etc shortly after Megaupload's demise. So, I decided to support the movie industry even though they wanted to bring 1984 into 2012, and I found the movie surprisingly good actually. Normally, I don't particularly like DiCaprio films because I still have him standing on the Titanic in my mind's eye, and it always seems to be a hit or miss with him. But, having not many options to choose from, my friends and I went for this one. I've already done quite some reading about J. Edgar Hoover - the guy who basically built up the FBI from scratch and is completely mad but hugely clever. So a lot of the aspects explored by Clint Eastwood (director) didn't come as a shock. I particularly enjoyed the segmented approach to this man's life, the working part of which spanned eight US presidents ending with Nixon. You would move in from present day to something in Hoover's past that linked with whatever event was happening seamlessly. The movie is actually a bit of a sad love story which bravely explored Hoover's sexuality, which still isn't quite clear. I won't give it away, but even I found it quite sad and felt a lot of sympathy for him.